In the previous tutorial we have shown you how to remove login with email feature in WordPress, And in this tutorial you will learn how to remove NoFollow attribute from all WordPress comments. 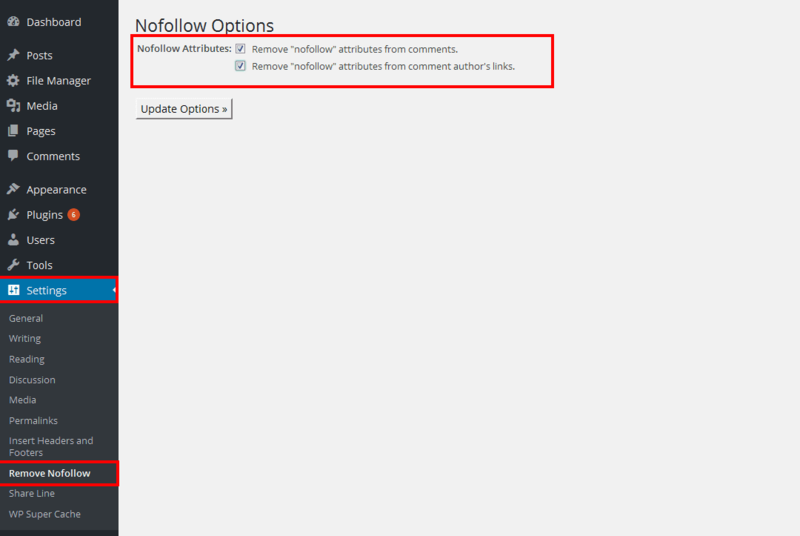 WordPress automatically adds a nofollow tag in all the comments by the default. some of you may want to remove nofollow tag from WordPress Comments. A while back, many people used to comment on websites with link on their blog / website to build backlink. And every spam comment wants to get backlinks, And nofollow is the best way to avoid backlinks. Removing the nofollow tab can increase the spam comments on your website. 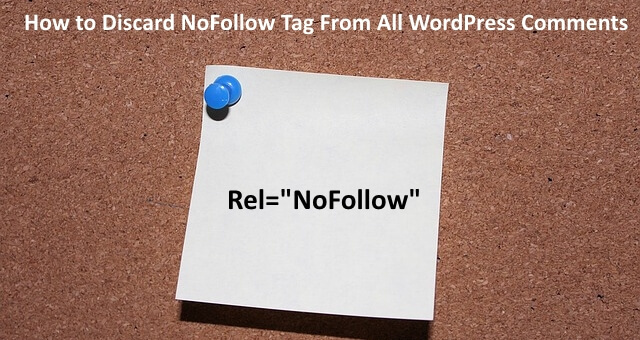 if you think that the nofollow attribute prevents spam comments then you may run. comment spammers don't even care about nofollow tag. To discard the nofollow attribute from all your WordPress comments, The first thing that you need to do is download the plugin called "Remove Nofollow" install and activate it. Once you have installed and activated the plugin, then you will see the Remove Nofollow tab in your settings tab, click on that tab to configure the plugin. We hope you learn how to remove the NoFollow tag from WordPress comments. If you liked this tutorial then support us to like and follow us on Twitter, Facebook.